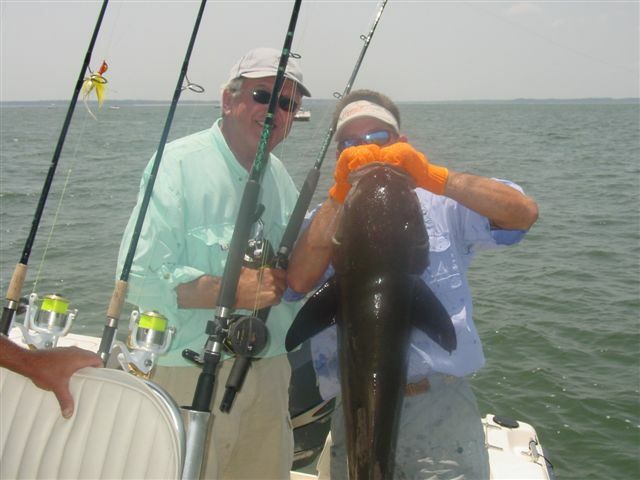 You couldn’t ask for a prettier spring day to be out on the water and on this trip we were after cobia. After sitting on the hook (anchored up) soaking baits with little success we decide to pick up and do some sight fishing. As I retreave the anchor my fishing buddy quickly runs for his fly rod. He ties on this horrible looking orange and yellow fly that you wouldn’t expect any self respecting fish to as much as look at. The sight fishing conditions are good with light mid day winds and a slacking tide. It doesn’t take long to find our first target and with a good cast we get a strike from a small cobia…but it doesn’t last long as the hook pulls out and we see our fish cruising out of sight. It was probably good to, because with in five minutes we find what looks to be a giant brown torpedo cruising down the river. I can tell by the excited shake in my buddies voice that he’s nervous, but he manages to keep his composure and make a perfect cast right on the nose of the fish. I don’t think the fish lost stride as it opened its mouth and slurped down that awful looking fly…what a bite. 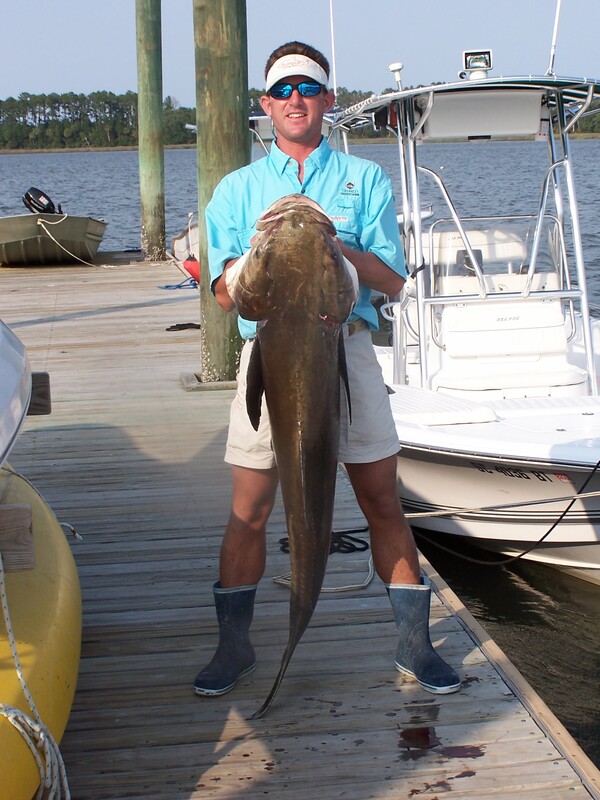 With a few strip sets we were on for an hour and a half battle with what turned out to be a 45 pound cobia. Now that’s fly fishing at its best! To hear more tails of whoppers and mishaps give me a call and let’s put together a fishing trip and until then “catch em up”! 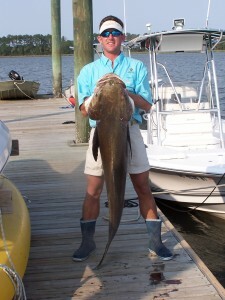 This entry was posted on Tuesday, May 15th, 2012 at 6:26 pm	and is filed under Fish Tails. You can follow any responses to this entry through the RSS 2.0 feed. You can leave a response, or trackback from your own site.